Let’s face it, things have a tendency to pile up around the home. Whether you live in a sprawling mansion or a bachelor apartment downtown, no matter how much space you have, it can get easily overtaken by your belongings. Closet sizes seem to be shrinking with newly built homes, making it difficult for even a single person living alone to store their belongings in a neat, organized way. Enter storage solutions. Rather than rifling through your closet for that one tank top you’re pretty sure is clean, or looking through jam-packed drawers for a single pen, take advantage of some of our DIY solutions to create a place for everything, with everything in its place. Closet space is one thing most people don’t have enough of. When you go shopping and see an amazing piece of clothing you want, musing on your already-stuffed closet is enough to make you put it back. Vertical closet organizers are great because they help you make use of every single of availability in your closet. The walls of a closet are a great place to hang shoes, purses, scarves, and hats. Displaying everything in a way lets you take stock of your belongings in one eye gulp. Your items are kept safely off the floor and won’t be kicked into the back of your closet, resulting in that aggravating “where’s my other shoe?” scramble right when you’re trying to head out the door. Camisoles are a wardrobe staple, but they can easily take up too much room in your shirt drawer. The solution? 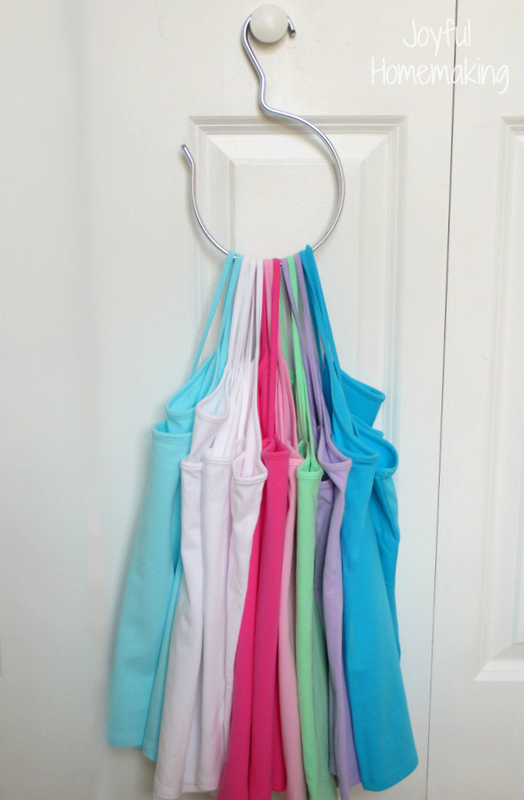 Buy a circular accessory hook and use it to hang all your camis. They’ll be wrinkle-free and quick to grab, freeing up more room in your dresser while adding to your wardrobe’s organization. Many beds come with built-in drawers, and these can be lifesavers when it comes to organizing your bedroom. Socks, underwear, t-shirts, and bedside items can be stowed away for easy access when needed, utilizing all the square footage your bed takes up in a dual manner. 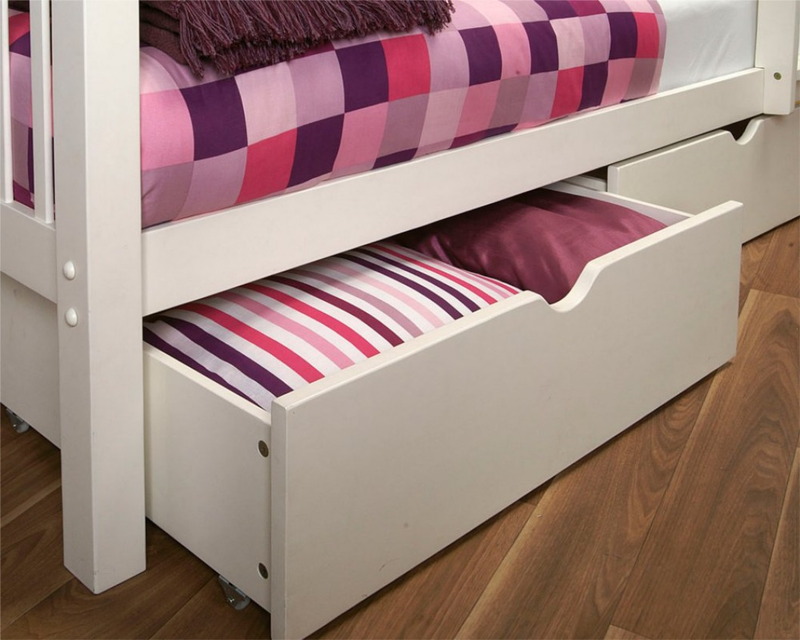 Especially if you’re living in a small space, having drawers within your bed is an excellent way to procure more storage with limited options. 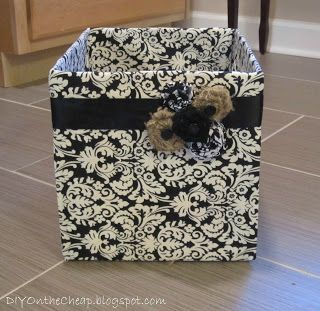 Diaper boxes are great for diapers, but you don’t need to have a baby to get an incredible amount of use from these large, inexpensive storage solutions. They make perfect organizers for your linen closet. 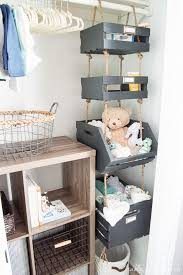 Store rolled up towels, makeup, first aid supplies, soap, or bathroom cleaning products in a diaper box and tuck them away in your linen closet, stacking them if you have more than one. They’re a cheap and generous solution for storing your bathroom odds and ends. 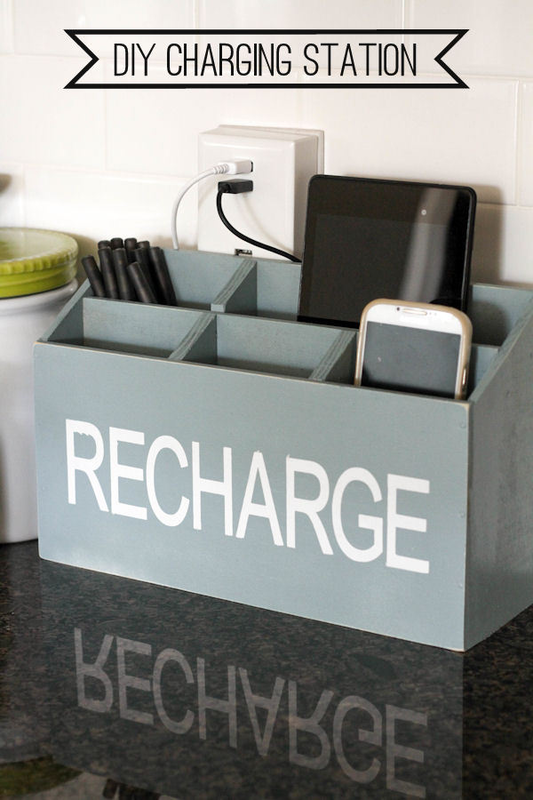 If you have a sturdy, well-shaped cardboard box from a retail purchase lying around, give it a second life as a charging station. Paint the box a solid colour and cut a hole in one of the sides to allow chords to go through. This helps organize the space where you charge all your devices, consolidating wires and making it easy to locate where you left your phone. If you finish a jar of spaghetti sauce and just can’t get over how cute the jar is, wash and sterilize it and give it a new job as a makeup brush holder. 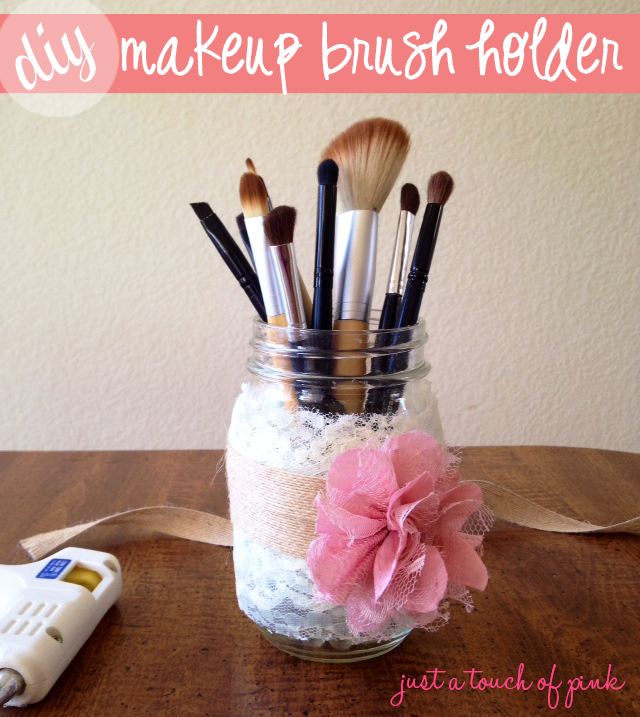 You can also make labels to designate which kind of brush goes in which jar. Now your makeup brush bristles will stay pristine and you’ll have to a place to dry brushes after washing them. It also feels a bit more glamorous doing your makeup with a custom-made setup for all your items. 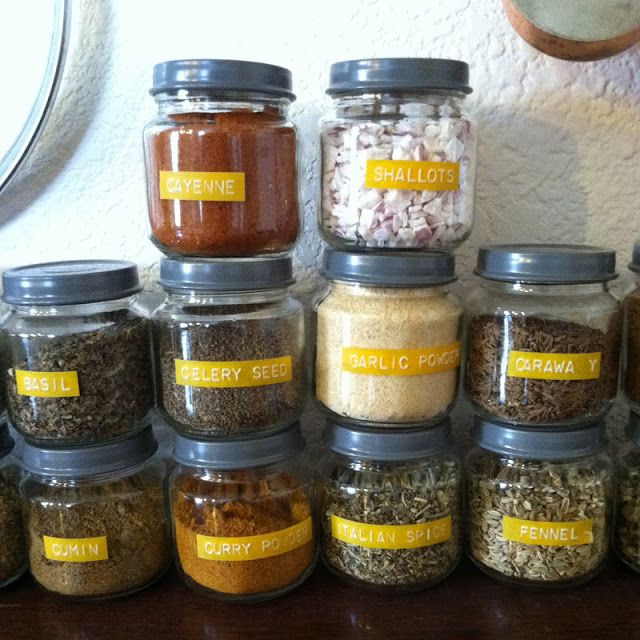 You don’t have to splurge on a spice rack to have organization for your seasonings. Clean and sterilize used baby food jars and refill them with spices that are currently sitting in your pantry in bags. Having your spices in jars leads to less spillage, which wastes your spices and leaves an annoying mess to clean up. Your spices will also keep much better in tightly sealed containers rather than baggies with unreliable enclosures. 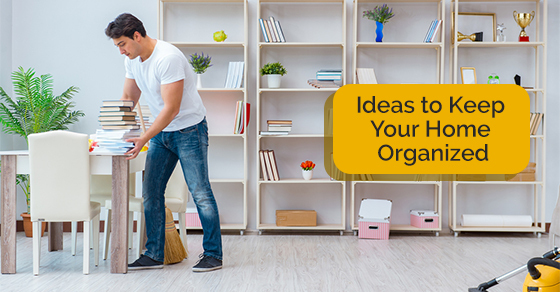 Any home can be overtaken by possessions if it’s not organized. Spending a little time and energy on devising storage solutions makes your day-to-day a little more straightforward and helps keep the items you love in their best condition. It’s cheap and easy to come up with most of the storage ideas listed above, but feel free to get creative and use whatever you have lying around in a way that suits your needs.